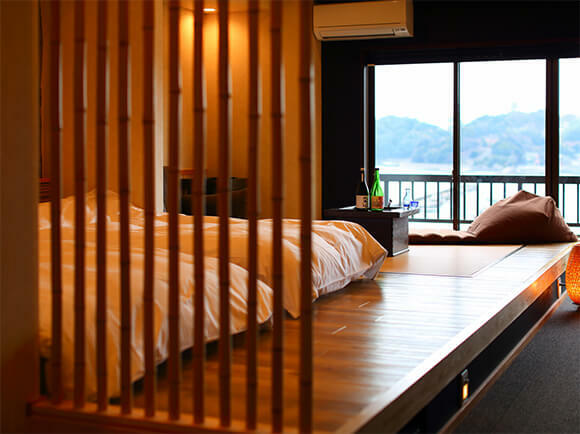 Wajoryoshuku - Good inn brews harmony. 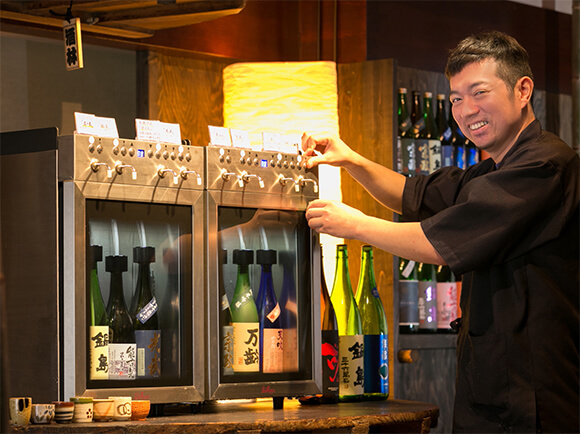 As a fan of Japanese wine, I have seen the words "wajoryoshu," in various breweries. It left a deep impression on me, and I have adopted it for use in my company. I put the state that an inn should aim to be into words. I was born and raised as the son of an inn owner. 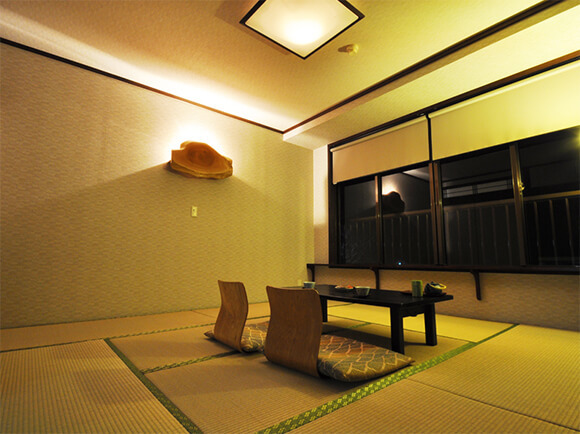 Even as a child, I felt that living my daily life together with this Japanese inn is a natural thing to do. Greeting the customers, making advance preparations, treating the customers with hospitality. Beyond all these, people will come, creating harmony. I believe that this harmony is the origin of inns, and it is the very thought that this inn treasures. I will strive to make an excellent inn that brews harmony where many people come and go everyday, treasuring the harmony born here. 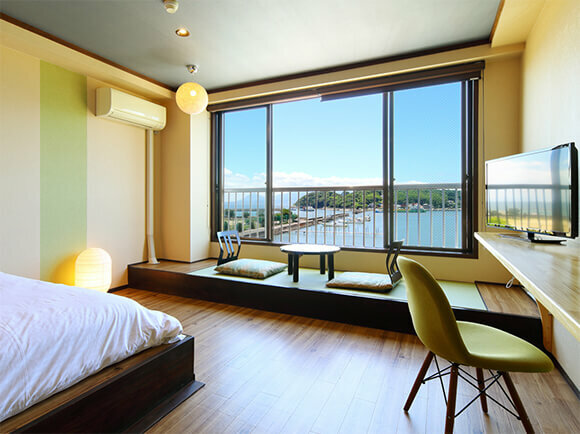 We renovate our guest rooms every year, allowing them to gradually be reborn more beautifully.We have various rooms from the normal Japanese-style rooms, Western-style rooms with beds, and the spacious Japanese-Western-style rooms. Please choose the room type that you prefer. 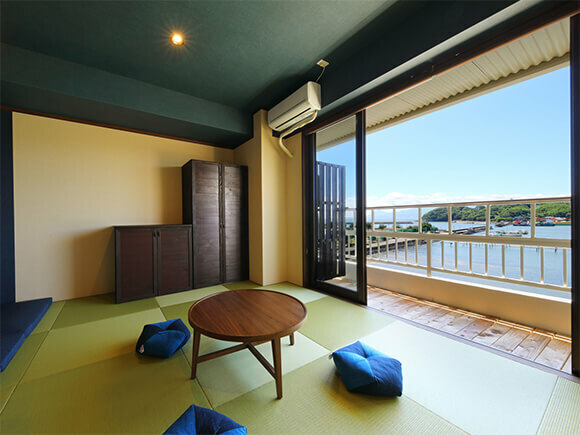 This room boasts a large window that allows you to get a full view of the Ariake Sea. 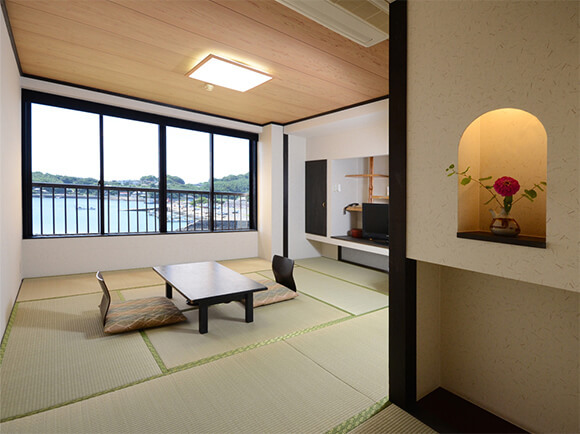 Please have a look at the rural view of Japan's leisurely fishing harbor.This room comes with toilet and shower. Twin room completed in 2016, equipped with two Simmons semi-double bed. 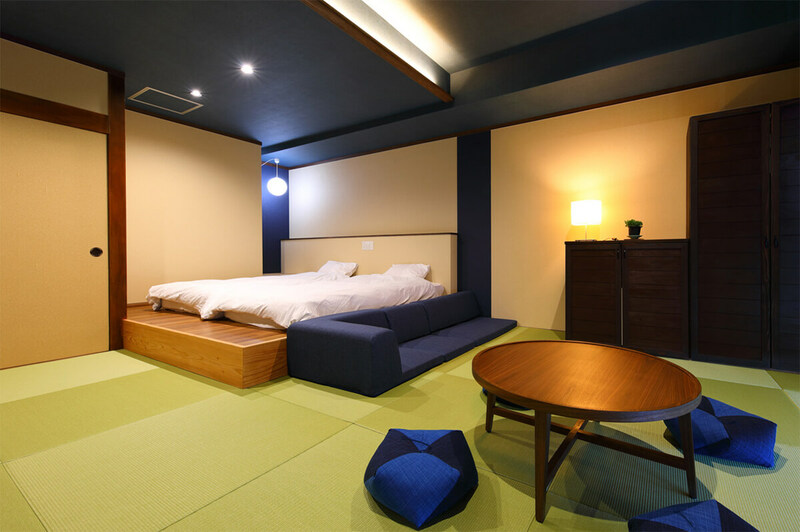 This is a slightly stylish Western-style room that can accommodate up to four guests by laying out futons. 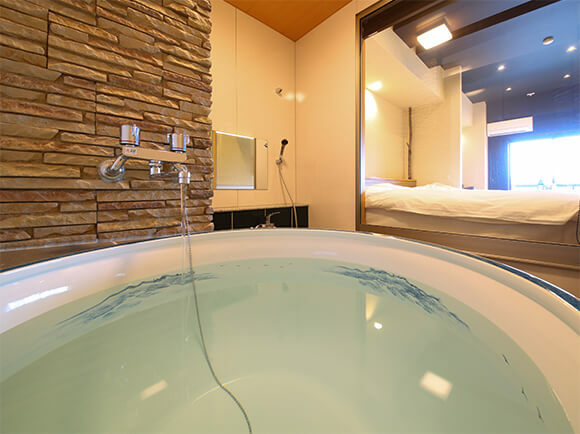 This room comes with a luxurious bath using Arita ware bathtub. 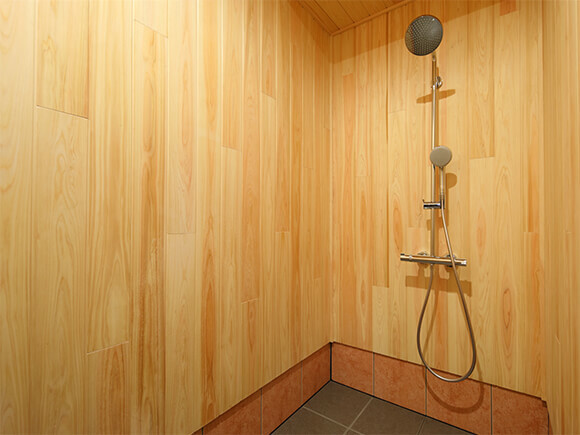 *Please be noted that the room's bath does not use hot spring water. 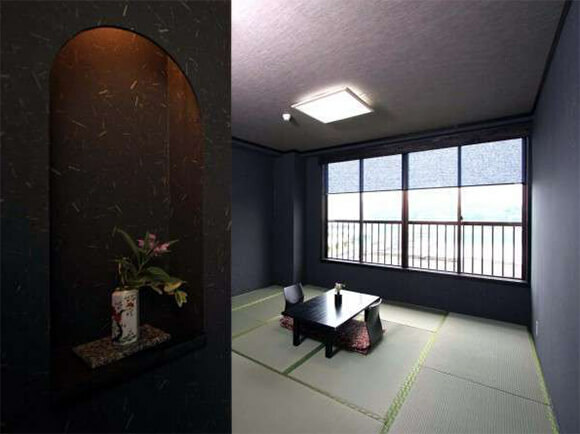 Modern Japanese Western-style room completed in 2017. Available in double bed type and twin bed type. *Room 302 and 303 are different guest rooms. Both are equipped with bath and toilet. 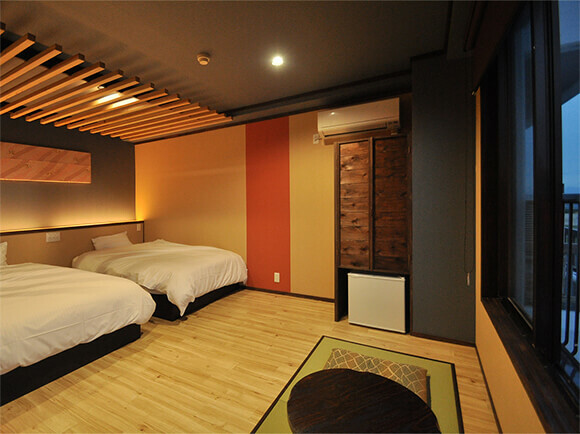 The standard rooms in this establishment. 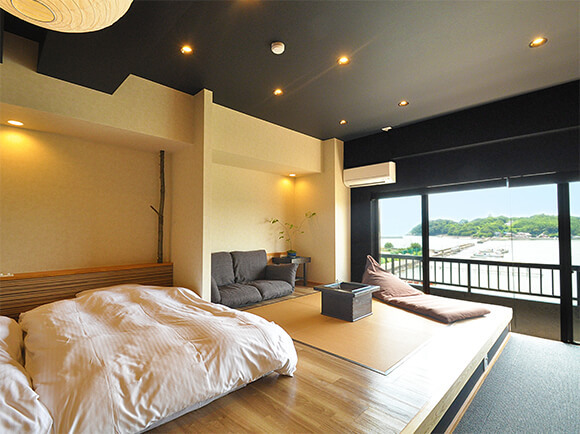 These guest rooms with a modern feel to them come in different types. 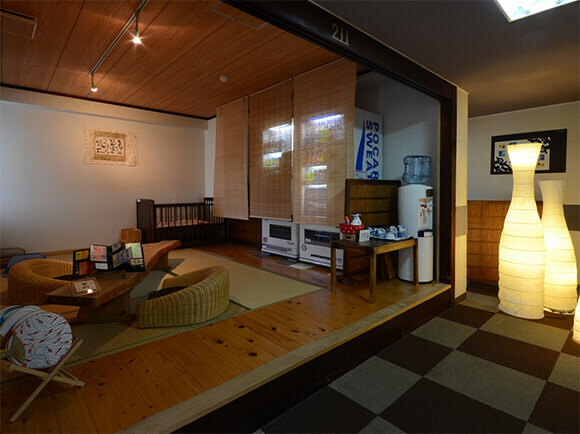 All rooms are 8 tatami-sized (about 13.2 square meters), bath and toilet are available. 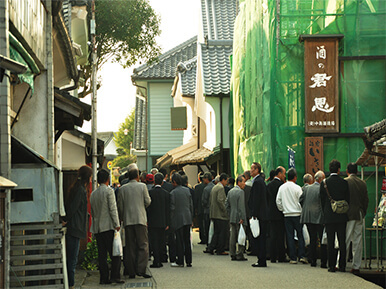 The Takezaki Crab is a famous dish in Takezaki Tara hot spring. Many people from all over the country visit all the way to Takezaki just to eat these. While not as famous as Hokkaido or Hokuriku, this place is also quite well-known as a crab-producing area. 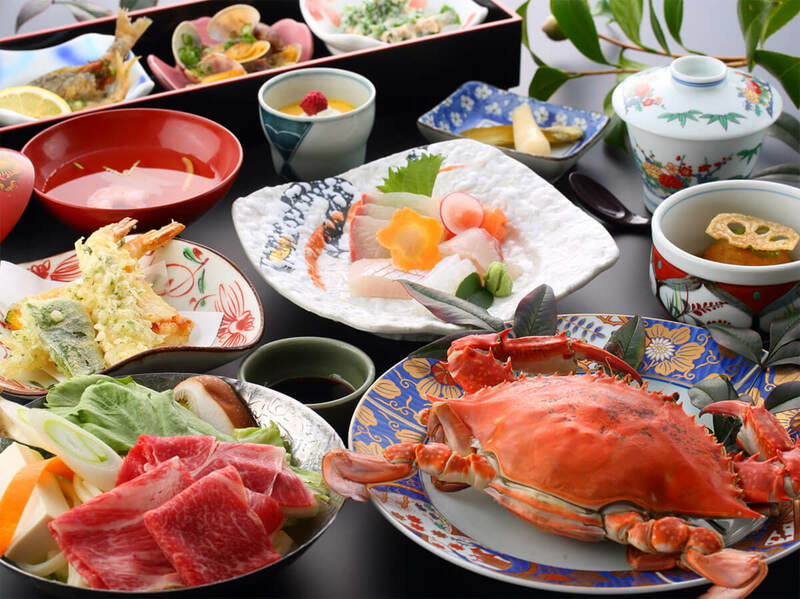 The price may fluctuate depending on the season, but you can enjoy Takezaki Crab at a relatively moderate price in our establishment. We have half-buffet-style dinner at Tsurusou. The amuse-bouche are free to eat, while the rest are course meals. 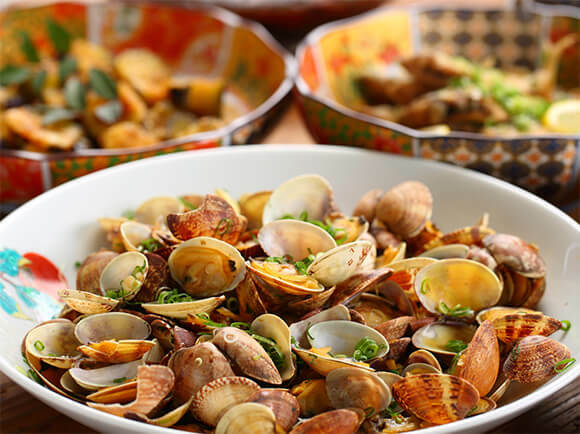 The buffet's menu uses local ingredients, so you can satisfy yourself just with the buffet. 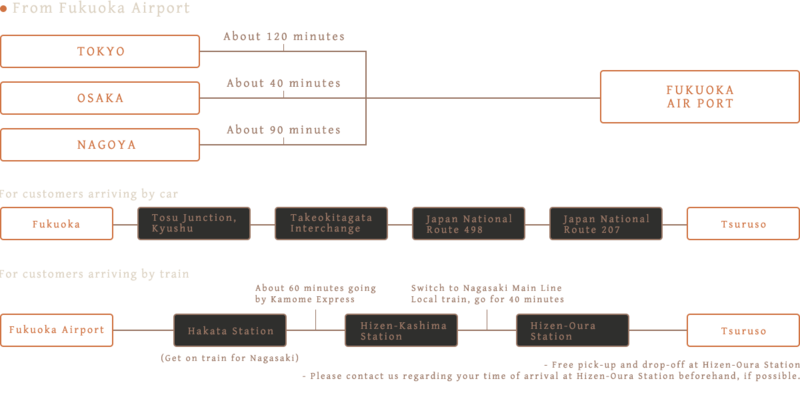 You can enjoy sukiyaki with all the plans that come with dinner. 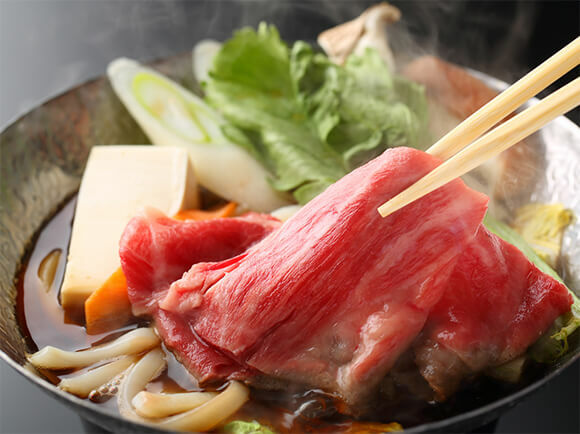 Please have your fill of sukiyaki, one of Japan's most popular dishes. We use Saga prefecture's Wagyu beef, allowing you taste the texture that melts in your mouth and Wagyu beef's unique meat sweetness. 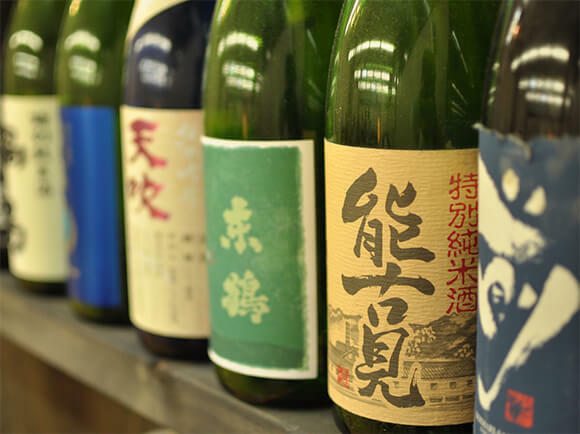 You can have Saga prefecture's sake to your heart's content with an additional ¥2,000 per person. Furthermore, you can taste the special self-style that you can only find here at Tsurusou. We always 12 different varieties prepared. 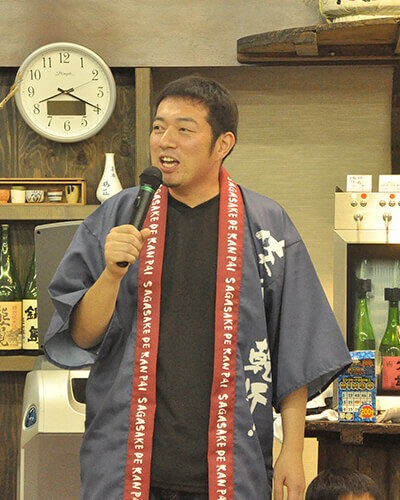 Please enjoy Saga prefecture's sake. Our reservation bath, Tsurunose, is a semi-open-air bath. When the weather is nice, you can see from the nearby fishing harbor all the way to Mount Unzen's Fugen-dake peak in the distance. 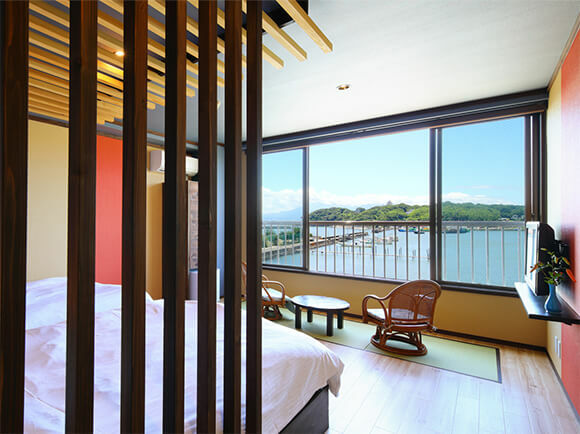 Spend this time to relax your heart and body while viewing the magnificent Ariake Sea, basking in the sense of liberation. ¥1,500/50 minutes. Reservation open from 4 p.m.
Our establishment's hot spring comes from a 42℃ natural hot spring located 1,305 meters underground. The hot spring is a bit hot, and we always pour new water straight from the source. Please be careful if you bring children. *The men and women baths may be switched in the next morning. Please check the curtains before entering. 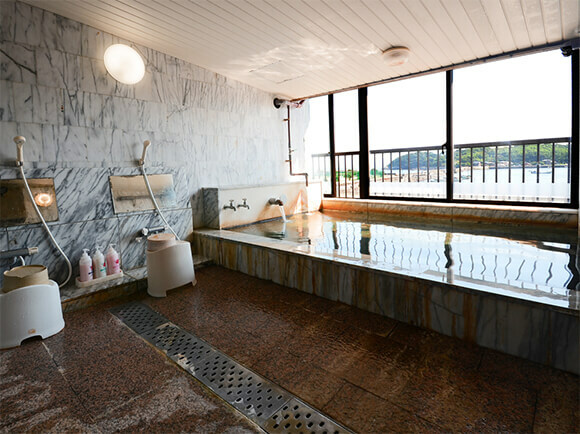 The after-bath relaxation spot is right in front of the public bath. We have prepared vending machines and drinking water here. The bath is a bit hot, so please take your time relaxing after the bath. 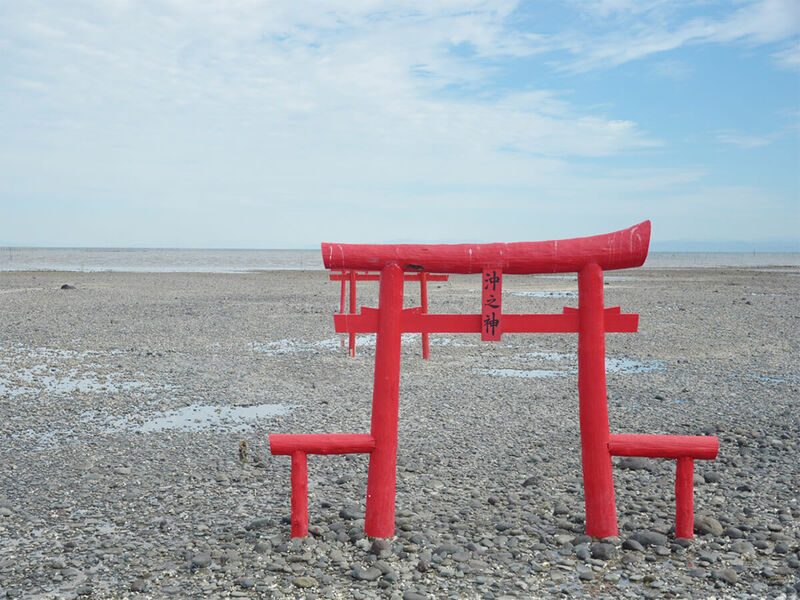 Kaichu Torii, the shrine floating on the Ariake Sea.Kaichu Torii on Ariake Sea, known for the highest ebb and flow difference of the tide, is half-submerged in the sea depending on the time. 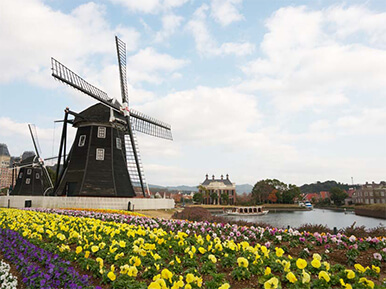 This famous place is known as Tara city's most popular photo spot. 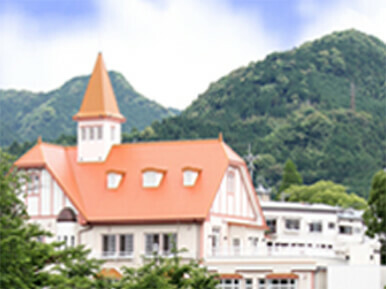 Selected as important preservation district of historic buildings on April, Heisei 18 (2006), this is one of the inn towns in the old Nagasaki Highway.There are a number of breweries creating sake, perfect for a brewery tour. 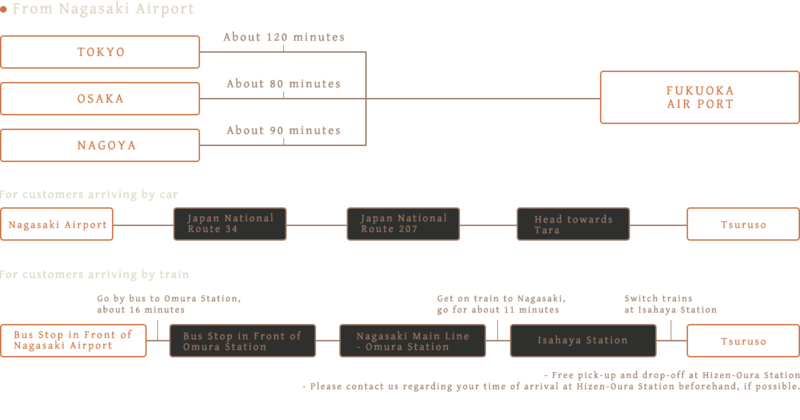 This shrine is one of Japan's three major Inari shrine, together with Grand Fushimi Inari Shrine and Kasama Inari Shrine. Three million worshipers visit this shrine every year. 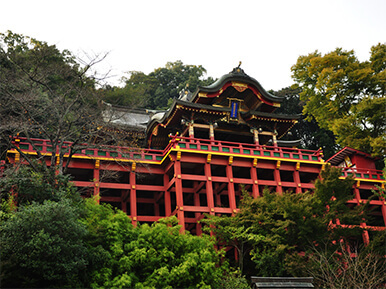 Among the shrines in Kyushu, this shrine has the second most worshipers next to Dazaifu Tenmangū. 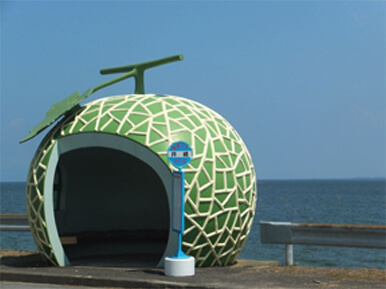 There are 16 fruits-shaped bus stops along the national highway 207 route heading towards Isahaya area.The bus stops shaped like a strawberry, melon, or orange are also popular as photo spots. 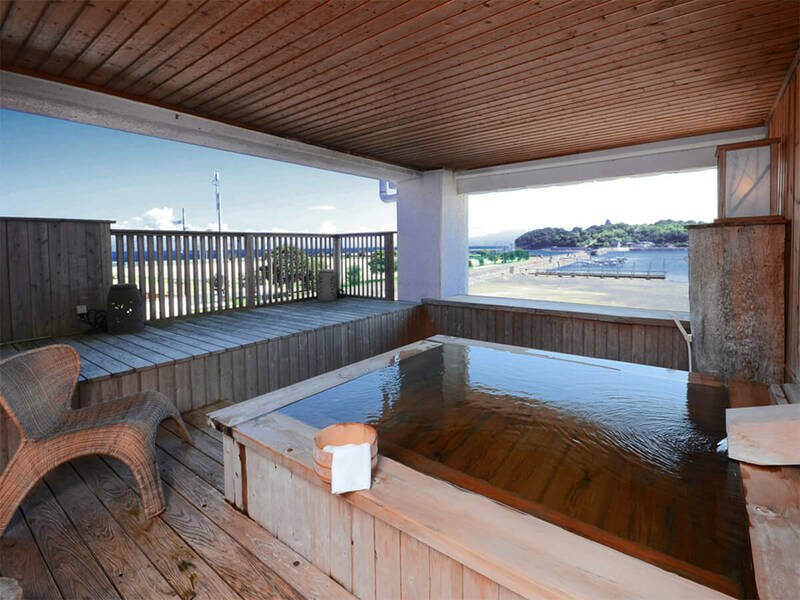 This hot spring is famous for being one of the 3 "hot springs of beautiful skin" of Japan.Also a famous hot springs destination within Kyushu. 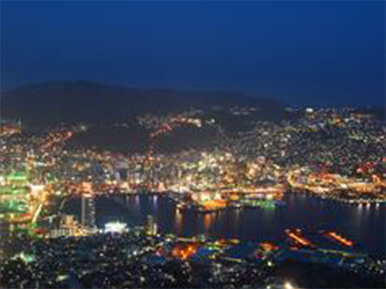 Nagasaki - a city with one of the "Three Great Night Sceneries of Japan", and also a famous tourist destination within the Kyushu area.